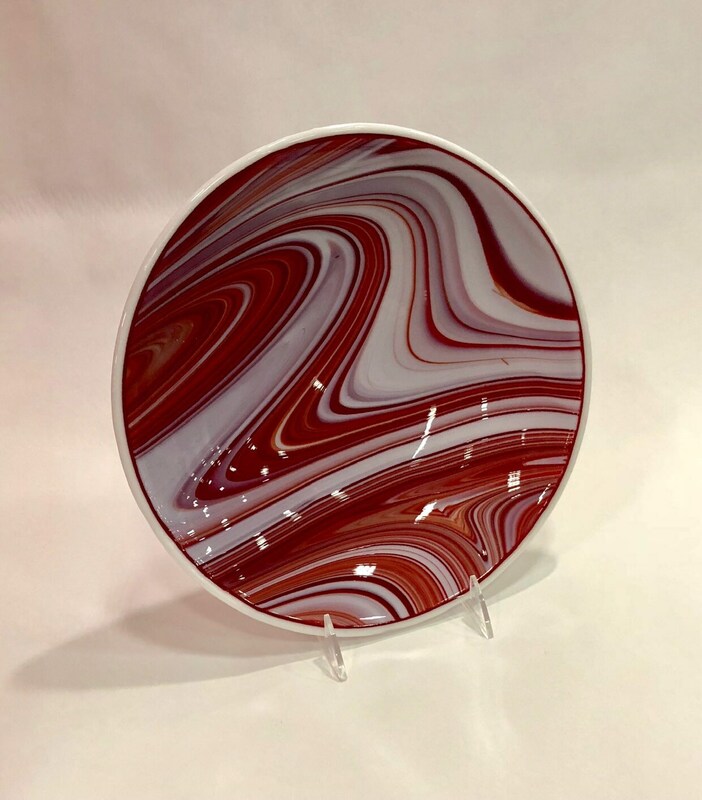 Elegant and modern, this red and white fused glass platter is a beautiful and versatile addition for your entertaining needs. Handcrafted from the finest art glass, the square design make it perfect for serving desserts, sandwiches, or hors d’oeurvers. 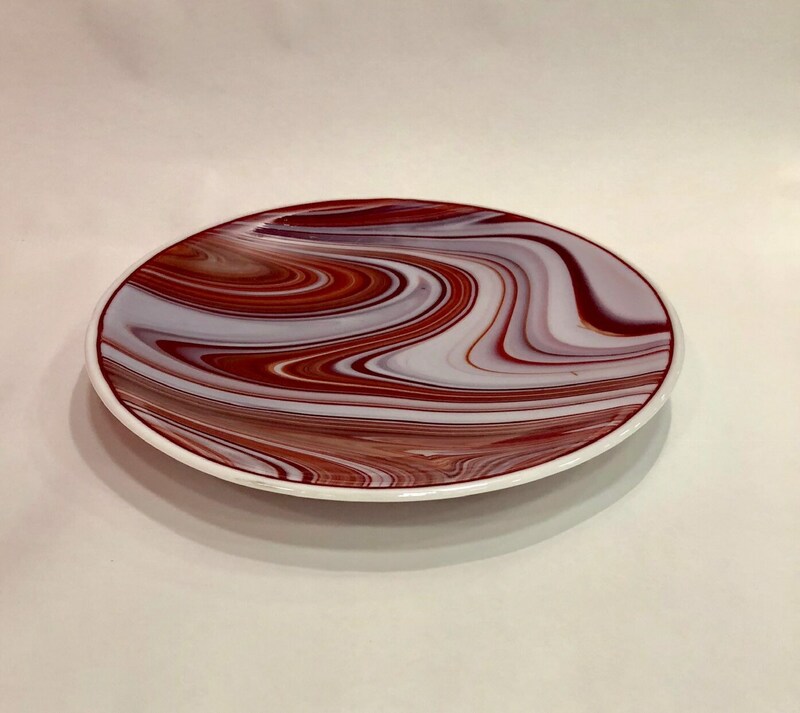 These stylish handcrafted platter will be the perfect accessory for your next dinner party. Measuring approximately 12 inches in diameter, it is 100% food and dishwasher safe. Not for use in the oven or microwave. 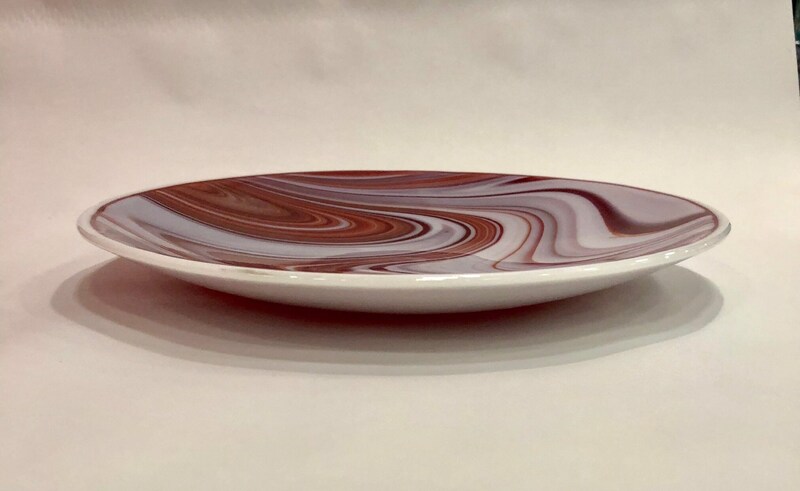 This platter will make a wonderful and unique gift for weddings, bridal showers, anniversaries or house warming. I am happy to enclose a card with your personalized message. Simply add your request in the 'notes to seller' section at checkout.